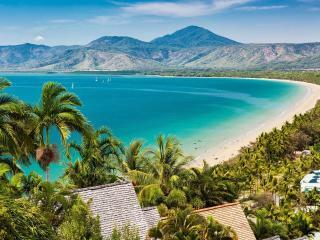 Ramada Resort by Wyndham Port Douglas boasts a fantastic tropical location and is set within its own natural rainforest. 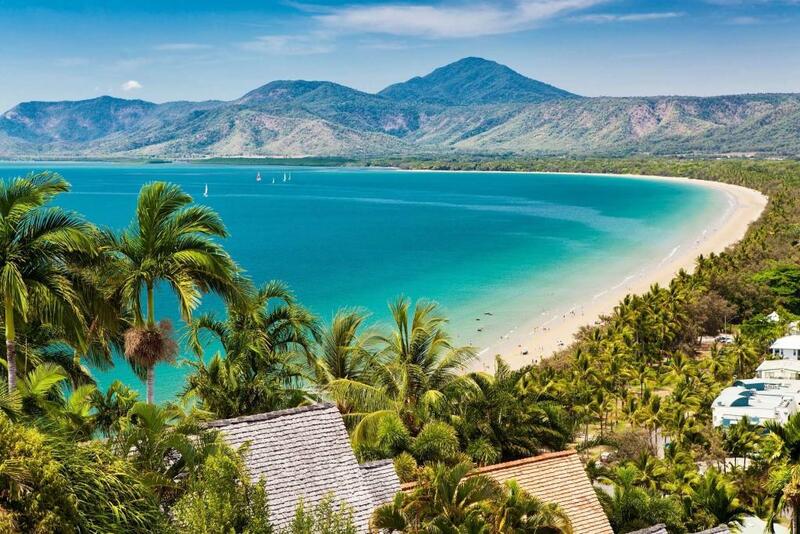 This Port Douglas accommodation is located close to two of the most beautiful, unique world heritage listed locations - the ancient Daintree Rainforest and the Great Barrier Reef. Ramada Resort by Wyndham Port Douglas is the ideal place to base yourself on your next North Queensland holiday. This Port Douglas accommodation offers contemporary style hotel rooms that have been themed around the colours of the resort's rainforest surroundings and creates an atmosphere of quiet serenity that you will find throughout the resort. The low rise, three level accommodation wings are hidden behind the resorts tropical vegetation. Ramada Resort Port Douglas has its own Treetops Spa, where you can choose from a variety of spa treatments whilst being surrounded by melaleuca forest and tropical gardens. There are nine treatment rooms nestled in Tree Houses linked by covered walkways. There are also a restaurant, a cocktail lounge bar and the very popular swim up bar in the large lagoon pool. Less than an hour's journey north of Cairns, this Port Douglas resort is only a 3 minute walk from Four Mile Beach, and just 5 kilometres from Port Douglas village, making it the perfect choice for a romantic getaway or family holiday. The rooms at Ramada Resort by Wyndham Port Douglas have been themed around the colours of the resort's rainforest surroundings and create an atmosphere of quiet serenity that you will find throughout the resort. King Room: Room size is 28m². Bedding is 1 King Bed + Sofa Bed OR 2 Single Beds + Sofa Bed. Maximum room capacity is 2 Adults & 2 Children. King Deluxe Room: Features contemporary furnishings, a large luxurious bathroom with twin vanity basins and corner bath, extra amenities and a dedicated data line. Room size is 32m². Bedding is 1 King Bed + Sofa Bed OR 2 Single Beds + Sofa Bed. Maximum room capacity is 2 Adults & 2 Children. Tree Bar and Grill: Overlooking the swimming pool, waterfall and swim up bar, the restaurant is open daily for buffet breakfast, lunch and a la carte dinner. Treetops Spa: Offers a unique spa experience with a meditation Labyrinth, nurturing relaxation areas surrounded by melaleuca forest and tropical gardens, and nine treatment rooms nestled in Tree Houses linked by covered walkways. Treatments include Lithos Stone Therapy, a full range of massage treatments, top-to-toe beauty treatments using Ahava products. Facilities also include an infra-red sauna, steam room and two vichy rooms.